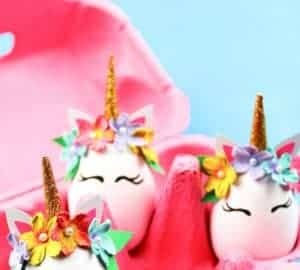 When I was a child I loved little sewing projects. 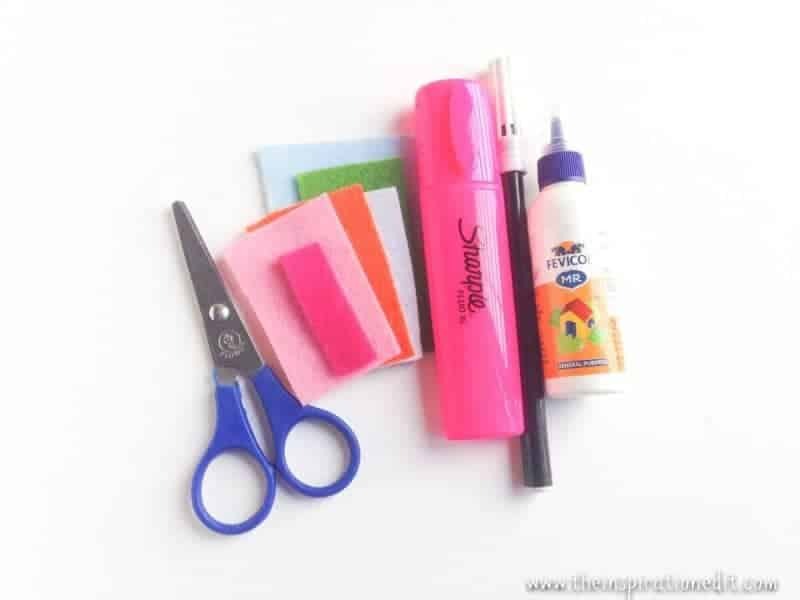 In fact I remember making my first pencil case. 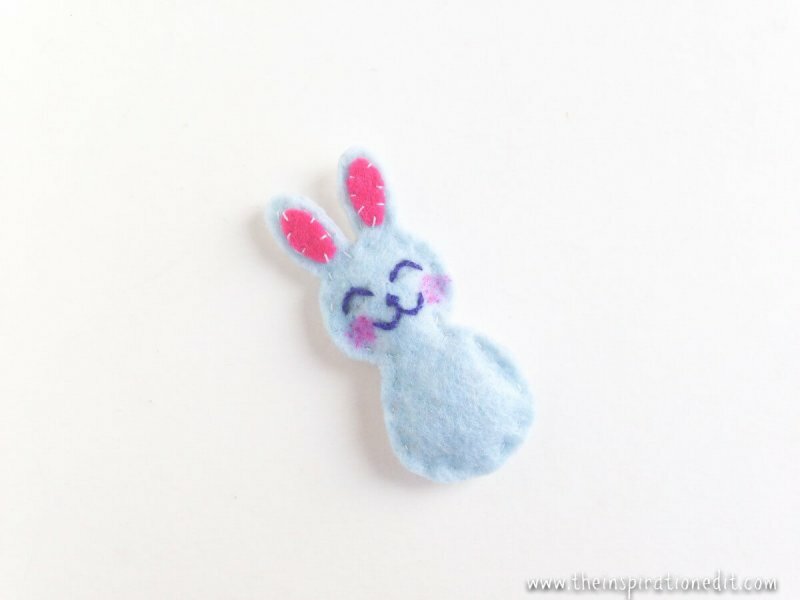 It was made from a fluffy furry blue material and I absolutely loved it. 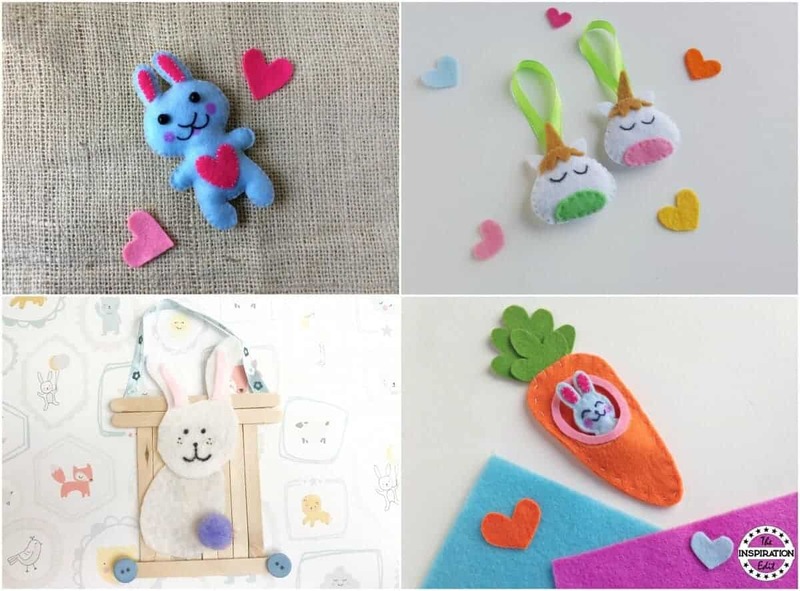 Although I’ve never learnt to use a sewing machine, I do love like simple and easy hand stitching and I also love to sew buttons. 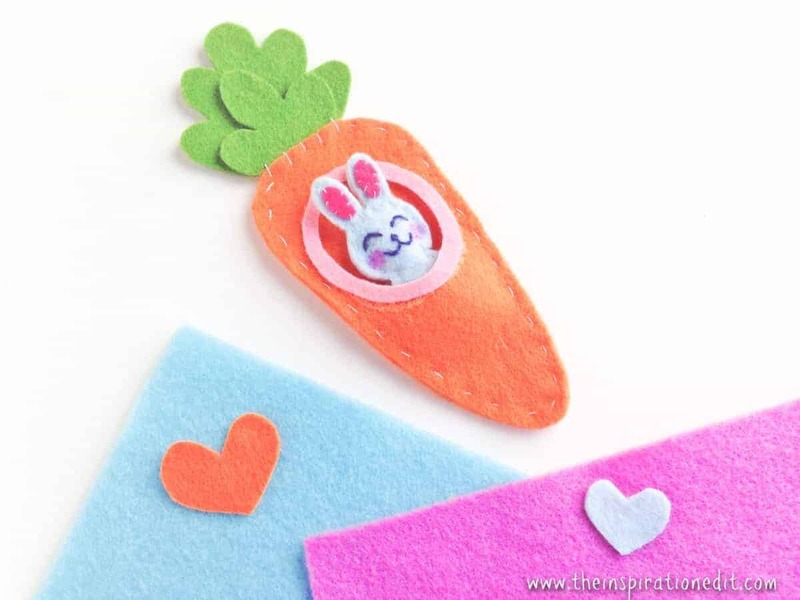 Today on The Inspiration Edit we have a simple, easy and fun Bunny in the Carrot Sewing Craft for kids. 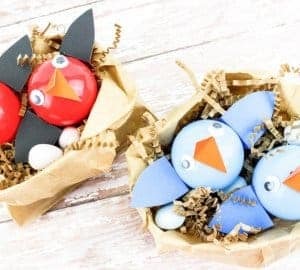 This would make a great little project for beginning sewers or as a classroom project. I hope you enjoy this tutorial. Step (1) Print and cut out the patterns of the template. 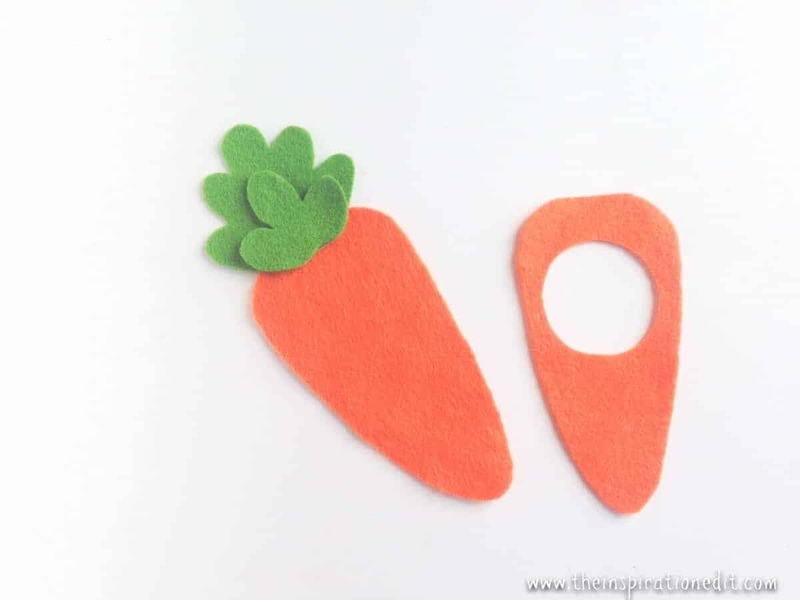 Place the cut out patterns on the selected felt fabrics and trace around the sides using a pencil or marker. 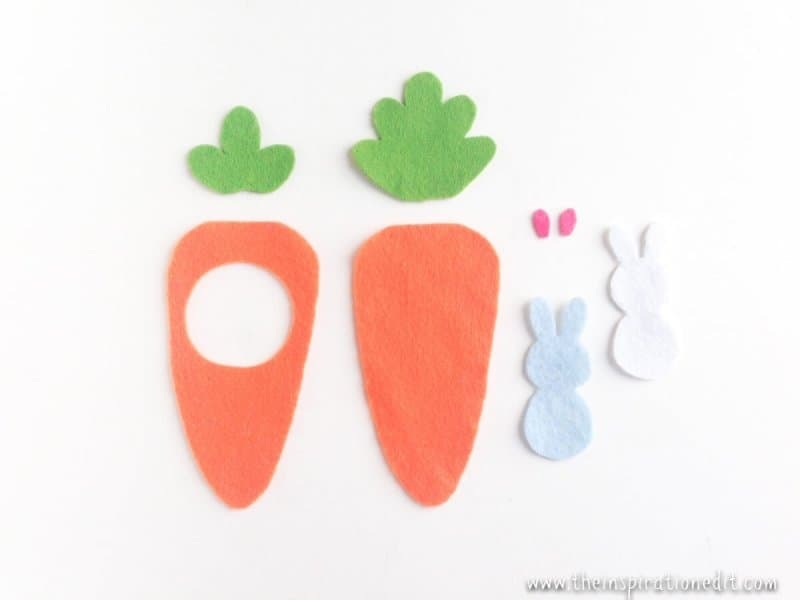 Cut out the patterns neatly. Step (2) Take the 2 carrot patterns and place the leaves on the top end of the intact carrot pattern; about a cm of both the leaves and the carrot pattern should overlap. 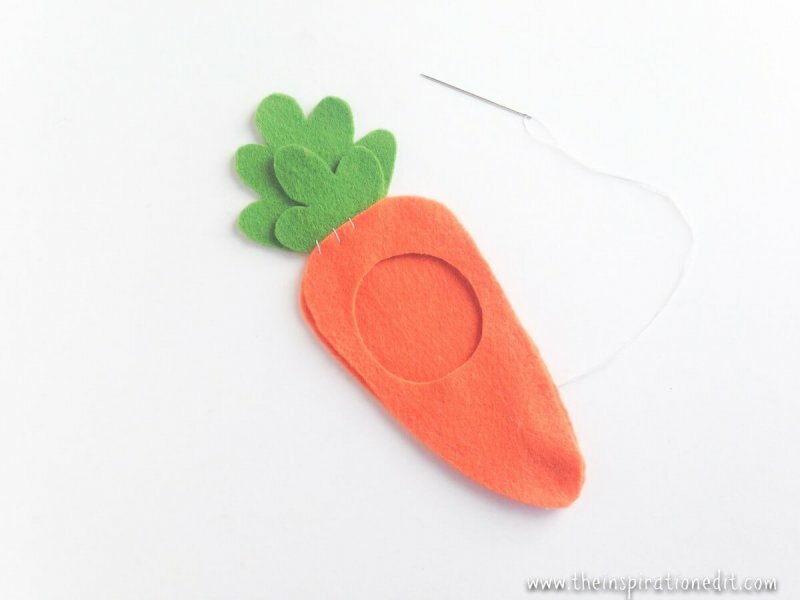 Step (3) Now place the carrot pattern with the hole on the top of the intact one; match the sides of both carrot pattern. Now prepare your needle and thread to stitch all four felt pieces (2 leaves and 2 carrot patterns) together. Step (4) Cut out the round shape from the template and trace it on a felt fabric. Cut out the pattern and nicely glue it on the carrot pattern with the hole to create a border for the hole. 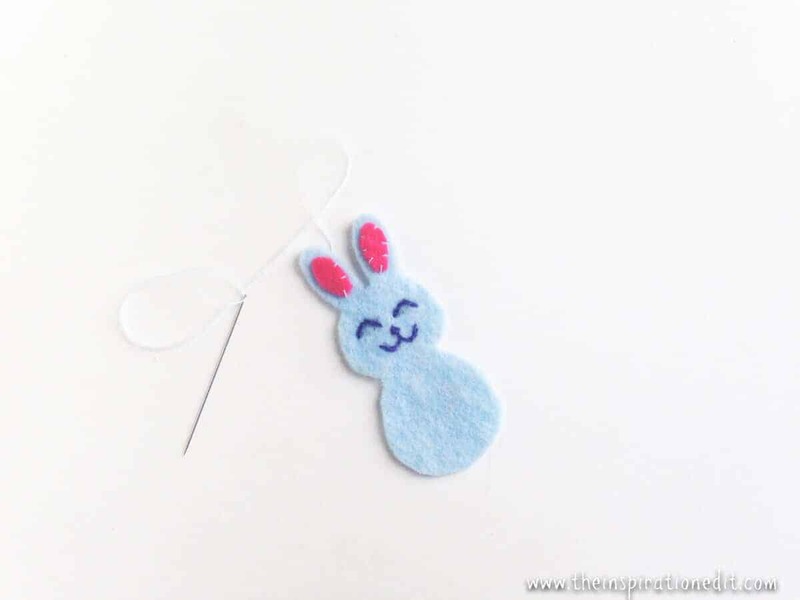 You may also stitch the round border if you want to. Step (5) Time to craft the felt bunny! Take any one of the bunny body pieces and stitch the face details on it using a dark shaded thread. 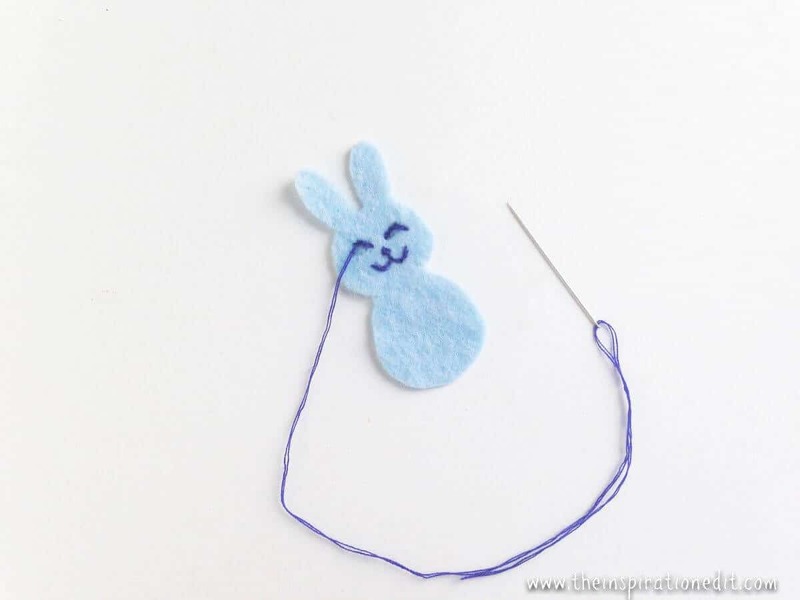 Step (6) Once you’re done stitching the face details stitch the inner ear pieces with the body ear part. Step (7) Now take the other body part and place it under the detailed one. Stitch around the sides of both pieces to join them. Keep a small opening for the stuffing. 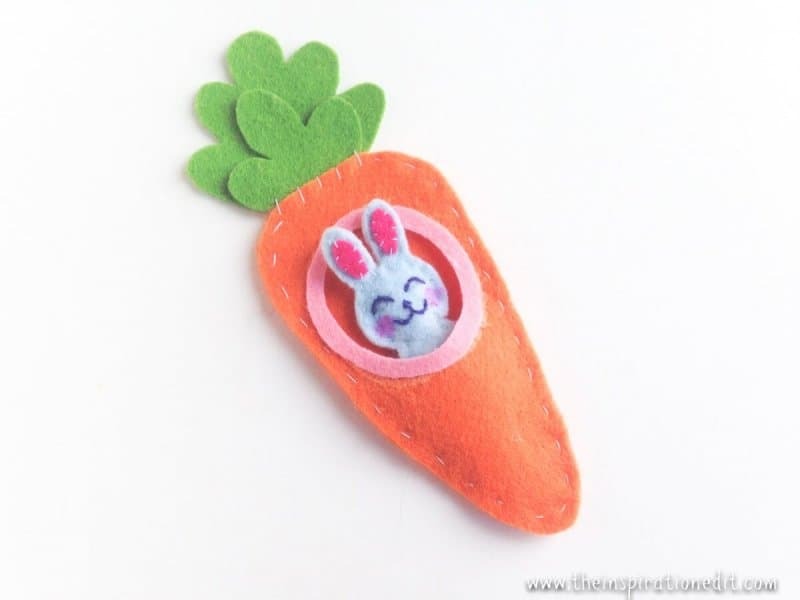 I used left over felt pieces to stuff the bunny. 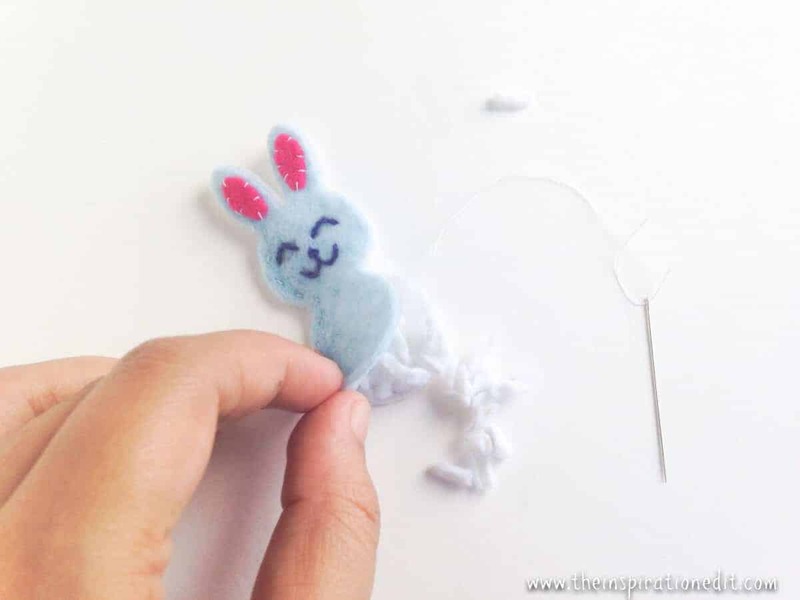 Step (8) Once you’ll be done stuffing the felt bunny stitch the open end to secure the stuffing and cut off extra thread. 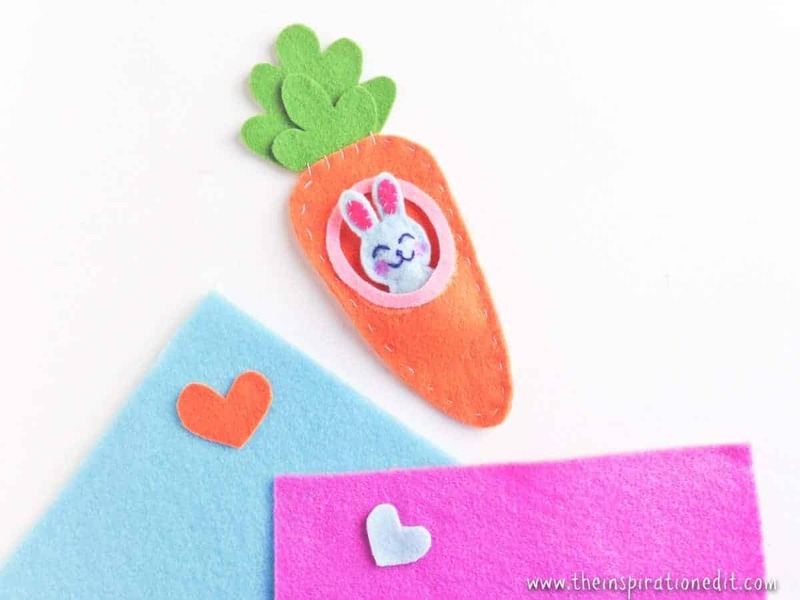 Use a pink highlighter to create pink blush patterns on both cheeks of the felt bunny. 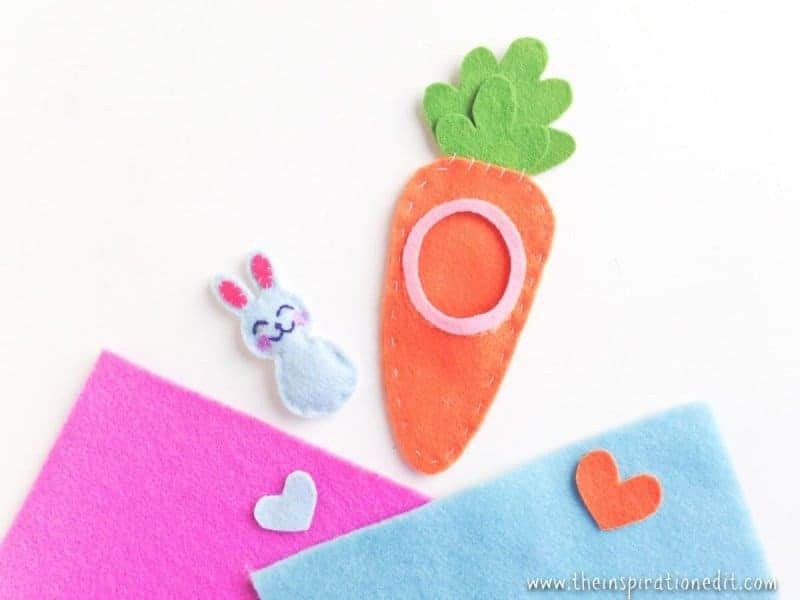 Step (9) Place the felt bunny inside the carrot through the hole and done! Enjoy! 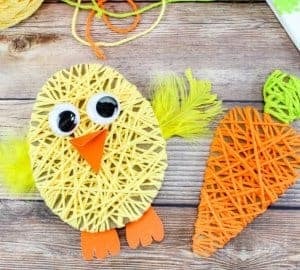 Download your free printable template here.